Austin, Epiphones and the secret language of guitar. Is Gary Clark Jr. the future of modern blues? It’s a pretty safe bet. 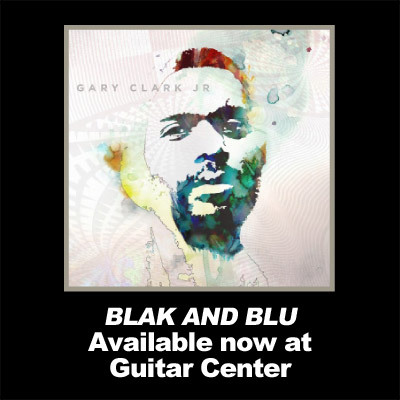 Like the pioneers of blues before him, Clark isn’t afraid to push the boundaries of the style—taking in all the world has to offer while he makes it his own—and, most importantly, play from the heart. Clark found his way into the Austin, Texas scene after taking up the guitar at age 12. Receiving attention and later some guidance from long-time club owner Clifford Antone and local legend Jimmie Vaughan, among others, Clark not only had a chance to interact with modern blues guitar greats, he gained a deeper knowledge going back to the originators who influenced them. Embracing the spirit of innovation that separated such groundbreakers as Cream and the Stones from the crowd, Clark combined musical elements as diverse as the Ramones and Nirvana to the groundwork placed before him by the pioneers of blues. By 2007, he was named the city’s best blues artist and rock guitarist at the Austin Music Awards—awards he would go on to win in those categories every year since.